The integral system is provided complete with a new concrete, steel, aluminum, or fiberglass pole customized for the MG Squared lowering system. 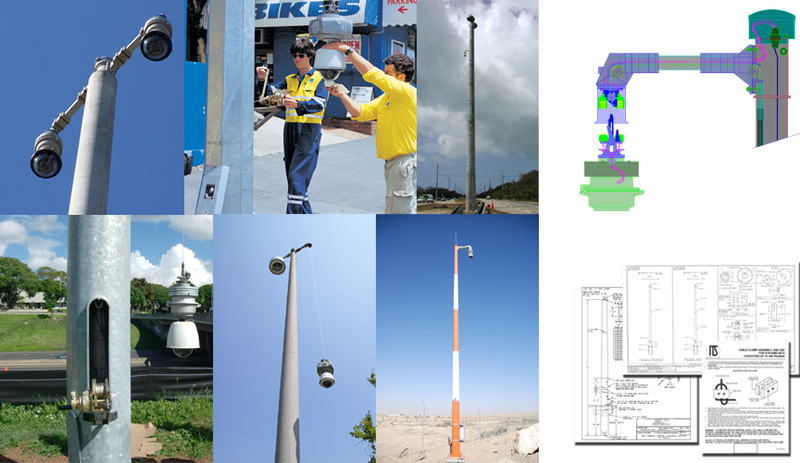 Sensitive power/signal, and stainless steel lowering cables are protected inside the interior of the pole. MG Squared integral systems are provided with a custom conduit fitter which allows the moving lowering cable to be isolated inside conduit, thereby keeping the cable from ever making contact or tangling with any installed or future installed equipment wires or cabling.